At BOGA, we strive to make products that not only look great, but also excel in function and performance. For those considering purchasing a BOGA YOGA, the stand up paddle boarding industry has spoken! 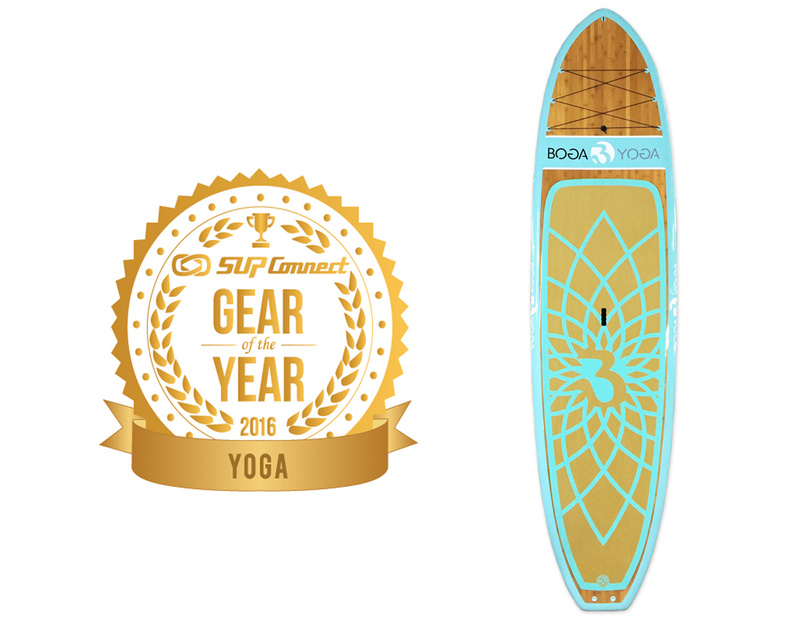 We are happy to announce that the BOGA YOGA was selected as SUP Connect’s Gear of the Year winner in the Yoga Category for 2016! For those that don’t know, SUPConnnect hosts the SUPConnect Editor’s Choice Awards every year, and part of that is the Gear of the Year Awards. The staff working on the Supconnect Awards pours an enormous amount of hours gathering feedback from a broad swath of the industry, from retailers and our advisory board to the editorial team and more so BOGA is proud to have been selected. The BOGA YOGA is one of the top reviewed boards on the market today and has been in constant development since 2011, when it was released as the first stand up paddle board designed specifically for SUP YOGA.